Installing solar power for your home can be simple. Choose to go solar with Energy Matters. We’ve earned the trust of thousands of customers throughout Australia! Find out how easy it can be to start saving money by making your own electricity in these videos. We’re making solar power simple! “My name is Jenny and when you call Energy Matters, it’s my job to help you find a solar solution to suit you…. The first thing I need to know is why you’ve decided to go solar – do you want to save on your power bill or protect yourself from rising electricity prices by generating your own power? Or perhaps you want to reduce your dependence on fossil fuels? Now let’s find a system for you. To reduce your power bill or earn income, we need to take a look at how much you spend on electricity each quarter. How many people live in your household and do you use any high power consuming devices? Next I will assess your roof to ensure I can make the most of your roof space. I use up to date satellite imagery, which allows me to see the roof size, whether it’s tin or tile and any potential shading issues. I will also ask you to send me photos of your roof – these can be taken from ground level and will help me identify the pitch of your roof and other factors. We won’t send anyone out to bother you at home unless we absolutely need to. Once I have found a solar solution for you that maximizes your available roof space to provide you the bill savings which you are after, I can give you a quote. This quote includes all rebates you’re entitled to, as well as all equipment and installation costs. Contact Jenny or one of the other members of our “making solar power simple” via an obligation free solar quote online instantly! I am Clean Energy Council certified for solar design and will make sure that your chosen system meets all the relevant Australian standards. Because each house is different, I make sure that your chosen system will work specifically for your house. I use the site photos which you’ve sent through as well as satellite photos and Google street view. In conjunction with the install team, we check for potential issues such as neighboring trees, chimneys or aerials that may cast shade on your system. This means that it can achieve the maximum performance and efficiency possible. That gives you the most amount of power output. Power output translates to dollar savings for you. Once I approve your system, I will pass the design on to our Install Coordination team. I will need to ensure that your grid connect application has been filled out and submitted. This means that your solar system has been government approved and is allowed to feed power back into the grid.We’ll fill out all the technical details on your grid connect application form – all you need to do is read and sign it. I’ll arrange with your local installer a suitable time for you to be home for your installation. You will need to be home in order to let your installer into the roof cavity, sign paperwork and of course make sure all your expectations are being met. In case of bad weather or other unforeseen circumstances, I will give you a call to reschedule your installation. You’ll hear from me again once the installation has been completed – I just want to check that you’re satisfied with how it went. I will also be here for you should you need to know anything more about your system or have questions about your retailer or distributor. My name is Dan and I’m the Manager of Energy Matters’ central warehouse and distribution centre. This is where all the behind the scenes action happens.…. We stock components from manufacturers such as Tesla, sonnen, SMA and Flex. They work together in making solar power simple. Every week we receive pallets of solar panels, inverters, electrical equipment and our Australian made solar framing gear. All items are carefully put away into their allotted areas.We hold regular stock takes and make use of the efficient technologies like iPads for scanning and keeping track of our stock. Your order came through via our internal system from our Install Coordination team and now your system’s gear is being picked and packed by Peter, one of our warehouse assistants. Pete and our other warehouse staff has a sound understanding of solar technology and understand what it is they’re packing – they’re not just blindly following a list. Pete selects every item on your order, then checks off your order and signs it. Then I will check the order again and sign off on it too. Even if something were to slip through our checking system – we will do everything possible to make sure your gear is ready for your installation. We know that you might be taking time out of your busy week to be at home during your solar installation and we will do whatever it takes to make sure all equipment is ready for you. Next your installer will come and pick up the gear and take it to your place. Hi – my name is Jan and I will install your solar system. Like all Energy Matters’ installers, I have Clean Energy Council solar design and installation accreditations and have completed the grid connect course…. The regulations state that all installation teams must include an electrician. Callan is a fully qualified electrician and will accompany me on the installation to ensure your solar system is absolutely safe and durable. After we’ve picked up the components for your system from the warehouse, we’ll head over to your house. First we will have a look at your site and discuss your installation with you. One of the most important things to consider is where your inverter will be installed. It must be in an accessible place so you can monitor how much power your system is producing. Now we’re ready to install your system. This will take between three hours and a day – dependant on the size of your system. First – the cables, then the rails; next the panels and finally the inverter. Last, but not least, one of the most important parts of the installation: going through the paperwork with you and making sure you understand your solar system. When we leave, your system won’t be switched on, depending on your which state you’re in. We will brief you on the next steps after your installation but you can also find out more on your state’s page on the Energy Matters website. Now that you’ve heard from our staff, hear what some of our customers have to say about making solar power simple and the financial rewards they’ve seen since. 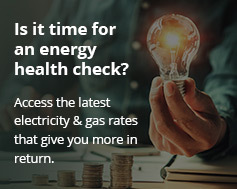 Looking for more reasons to choose Energy Matters? We can think of some pretty good ones. Start saving on your power bills and making your own electricity with a solar power system from Energy Matters. Get an instant online free solar quote!